Care navigation first came onto our radar in 2016 through the General Practice Forward View and its 10 high-impact actions for releasing capacity. While we’d been signposting patients to the right clinician within the practice for a number of years, the opportunity to both improve our offer to people by making sure they get the right help when they need it and also reduce pressure on GPs was something we were keen to progress. We discussed our ideas with Buckinghamshire Clinical Commissioning Group and were delighted when they decided to support local practices in delivering care navigation by funding training from the National Association of Primary Care (NAPC). The three main aims of the NAPC programme are to reduce unnecessary GP appointments, increase patient wellbeing and maximise resources already in the system. Care Navigators can have a range of ‘day jobs’ – in our practice they are receptionists and admin team members – and their role is to actively listen, to signpost people to sources of help, advocacy and support, and to help people play an active role in managing their own health. Far from just offering one-off interventions, I believe that Care Navigators could eventually take on caseloads of their own, coming to really understand people’s lives and supporting them on an ongoing basis. So far, eight staff from across our three sites have undertaken care navigation training, learning about the key national health and wellness messages, how to initiate a ‘health chat’ and the sources of help available to residents from local charities or community groups. The second part of the training looked at why advice sometimes doesn’t work, the skills needed including listening, asking questions, giving feedback, emotional intelligence and avoiding conflict – and behaviour change and motivation. Currently, our teams are using their training as part of their day-to-day roles, but we are working towards them consulting directly with patients in the future. For example, we hope to promote our Care Navigators to patients and set up group consultations in 2019. We will be working with local partners such as Citizens Advice, Carers Bucks and local hospices to run informal group sessions for patients and carers about putting people’s wishes into practice, supporting someone at the end of life and how to plan for crisis. The Care Navigators will join the workshops on difficult topics so they can learn more and build confidence, without the pressure of leading a group. And the Care Navigators are already making a difference. For example, we have a patient who is an older gentleman with deteriorating health. He is a proud man who was successful in his younger life and asking for help is difficult for him. So, one of our care navigators now has a chat with him whenever he comes in, making sure he knows she’s there without him asking for support. We also had a patient who initially asked for a GP but actually needed help accessing Citizens Advice after he found himself homeless. With anything new, you need buy-in. As a training practice we are used to working with GP registrars and medical students, developing and empowering people. The partners at our practice have been on board with the programme from the beginning, as they can see the benefits of increasing the skills of some of our existing staff to make a positive impact on patient experience and free up GP time for those patients who really need their specialist clinical support. The programme has always been high on their agenda, and they have supported us in setting up a dedicated meeting schedule and noticeboard for care navigators, and have released time for staff to take part. Some practices may find it more difficult to release people and may have concerns about the impact on individuals’ day jobs, but I am a firm believer that facilitating these roles will bring huge benefits. It is very important that anyone completing the training is supported fully by their practice, and that there is a long-term plan for using their skills and mentoring them through the process. By empowering staff to undertake these roles if they wish, practices can increase job satisfaction and improve levels of staff retention, ensuring greater continuity of care for patients. At Westongrove, we were lucky that not only were the partners keen on training care navigators, but we also had a number of staff who felt passionately about this and wanted to be part of developing their skills and offering this service to our patients. 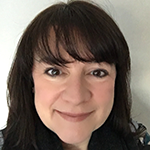 Sarah Walker has worked at the Westongrove Partnership, a forward thinking, three site, Primary Care Home and training practice in Buckinghamshire, for 15 years. She started out as practice administration manager for Bedgrove Surgery in 2006, before taking on the role of operations manager and becoming Operations and Development Manager in 2017. Sarah has worked with NHS England on the development of the calculating quality reporting service (CQRS), as well as various projects within the local clinical commissioning group. She is also chair of the local managers’ group, a member of the Bucks CCG Integrated Team steering group and a trustee of the Friends of Bedgrove Surgery. I’ve read the blog, it’s really positive you’re sharing the experiences. I’m part of the CEPN (a wonderful NHS acronym) within the CCG and we introduced Care Navigation last Summer. We had some initially positive results, we’re expanding our Practice Network, however we’re having some challenges with providing the Care Navigation dashboard data due to some system issues. We use EMIS in this area which has caused issues. That said i think maybe a blog could be a good way of keeping our navigators engaged during and after this blip? What a great development, and I would really like to hear and learn more about what has progressed. Could I be put in contact with Sarah? I’d be very happy to talk to you. If you’d like to contact bedgrove.surgery@nhs.net, your message will be passed to me.